To be applied morning or evening all over face and neck, after cleansing with the Combination Skin Cleanser, followed by the Combination Skin Lotion. Apply a small quantity of this cleanser over face and neck. Work with wet fingertips. Rinse with warm water. For problematic skin. Use morning and evening. On clean skin, apply a small quantity around eye contour. Use gentle tapping movements. To be applied morning or evening. Apply a small quantity all over face and neck. Work with wet fingertips. Remove with a washcloth wet with warm water. Follow with Combination Skin Lotion. Use morning and evening. Apply a small quantity all over face and neck. Work with wet fingertips. Remove with a washcloth wet with warm water. Follow with Dry Skin Lotion. Use morning and evening. Apply a small quantity around the contour of the eye, making sure the area is clean. Use gentle tapping movements. To be applied in the morning or evening. Be careful not to apply cream inside the eyes. Wet a cotton with this gentle, aqueous eye make-up remover lotion. Cleanse the eyelids and eyelashes. For all skin types. Apply a small quantity all over face and neck. Work with wet fingertips. Rinse with warm water and towel dry. Follow with any Pevonia Lotion. For all skin types. In the Lumafirm line. After cleansing the skin thoroughly, apply a small quantity of this cream on specific areas only. Apply only at night, half an hour before bedtime. Apply a small quantity around the contour of the eye, making sure the area is clean. Use gentle tapping movements. To be applied morning or evening. Be careful not to apply the product inside the eyes. Please see individual products for full details, ingredients and usage. To be applied morning or evening all over face and neck after cleansing with the Phyto-Gel Cleanser. Spray all over skin after sun exposure. Can also be used to seal and encourage longer lasting make-up or to refresh the skin at any time. For all skin types. Foam a small quantity between wet palms. Apply on face and neck. Work with wet fingertips. Rinse with warm water and towel dry. Follow with any Pevonia lotion. For all skin types, ideal for oily skin. Use morning and evening. To be applied morning or evening all over face and neck, after thoroughly cleansing the skin with the Hydrating Cleanser, followed by the Hydrating Toner. Recommended for all deeply dehydrated skin with dry tendency. On clean skin, apply a small quantity around the contour of the eye. Use gentle tapping movements. To be applied morning or evening. Be careful not to apply the fluid inside the eyes. To be applied morning or evening all over face and neck, after thoroughly cleansing the skin with the Hydrating Cleanser, followed by the Hydrating Toner. Recommended for all skin types with lack of elasticity. Apply a small quantity all over face and neck. Work with wet fingertips. Remove with a washcloth wet with warm water. Follow with Hydrating Toner. For all skin types. Use morning and evening. Apply one to two pumps on clean skin all over face and neck. Massage gently. Recommended for all deeply dehydrated skin with dry tendency. Apply in the evening. Best results when used before the Marine Collagen Cream. Apply 5 to 7 drops on clean skin all over face and neck. Massage gently. Recommended for all skin types with lack of elasticity. Apply in the evening. Best results when used before the Firming Marine Elastin Cream. 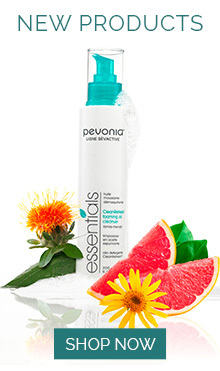 To be applied morning and/or evening all over face and neck after cleansing with the Clarigel Exfoliating Cleanser. Recommended for impure, problematic skin. To be applied morning or evening all over face and neck, after cleansing with the Sensitive Skin Cleanser, followed by the Sensitive Skin Lotion. Recommended for super sensitive skin and retinoic acid users. To be applied morning or evening all over face and neck, after cleansing with the Dry Skin Cleanser, followed by the Dry Skin Lotion. Apply morning and evening all over face and neck, after cleansing with the RS2 Gentle Cleanser, followed by the RS2 Gentle Lotion. Best results when used after the RS2 Concentrate. For rosacea and sensitive skin types. Apply one to two pumps on clean skin all over face and neck. Massage gently. Recommended for all skin types, especially rosacea and sensitive. Apply morning and evening. Best results when used before the RS2 Care Cream. Apply a small quantity all over face and neck. Work with wet fingertips. Remove with a washcloth wet with warm water. Follow with RS2 Gentle Lotion. For rosacea and sensitive skin types. Use morning and evening. Apply a small quantity all over face and neck. Work with wet fingertips. Remove with a washcloth wet with warm water. Follow with Sensitive Skin Lotion. Use morning and evening. Apply one to two pumps on clean skin all over face and neck. Massage gently. Recommended for all skin types, especially sensitive. Apply morning or evening. To be applied morning or evening all over face and neck, after cleansing with the Sensitive Skin Cleanser, followed by the Sensitive Skin Lotion.